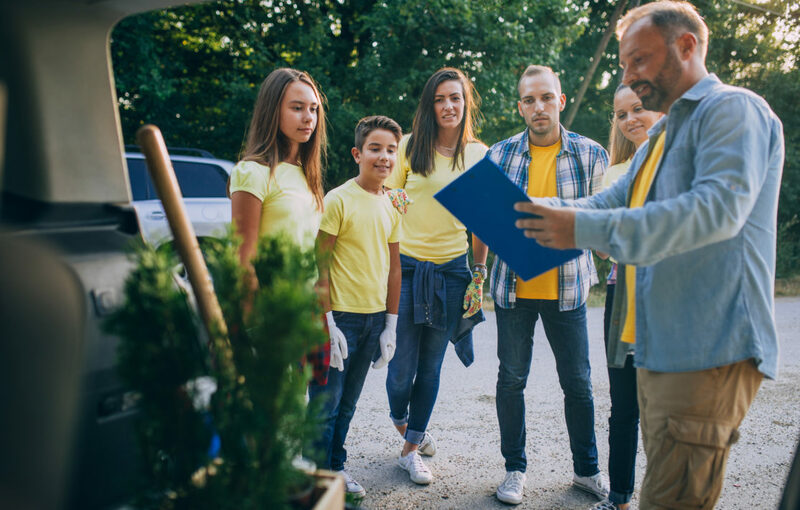 When it comes to raising funds to help friends and family or raising money for a good cause, today’s kids and teens have a distinct advantage. They can tap the power of crowdfunding as digital natives—raised in a world with social media, they’re connected to almost everyone they’ve ever met. That makes it possible to reach hundreds, if not thousands, of people—all while changing the world for the better. Learn how to craft a story that appeals to potential donors of all ages. Develop social skills by joining or leading a fundraising team. Deepen their sense of compassion for those in need. Every day, thousands of kids are bullied at school. Young people can take steps to combat bullying by speaking up when they see it happening, encouraging active bystander response, and supporting organizations that promote awareness and training. Kids can also crowdfund to raise money for large-scale solutions, including support for programs that help kids who have been bullied. One way to make a direct impact on students in need is through your local school district, or in partnership with a nearby school or district serving low-income students. Children can supplement funds raised in person with an online fundraiser, and ask local businesses to make matching donations. Kids who want to help others could start a disaster relief fund for victims of disasters such as earthquakes, hurricanes, fires, tsunamis, or tornadoes. Aid organizations that kids and teens commonly raise money for include ActionAid, Oxfam, and Doctors Without Borders. You could also look into raising funds for your international sister city to make a positive impact on a community on the other side of the world. Whether it’s a fire, flood, earthquake, or other disaster that has affected a friend and their family, or a medical emergency that’s resulted in a neighbor suffering, kids can help by setting up a crowdfunding fundraiser. Doing so not only gives them an opportunity to live their values—it also helps them feel that they have the power to help others and make the world a better place. The panda, polar bear, red fox, and tiger are just a few examples of endangered animals whose numbers are dwindling. Children can help save these animals by setting up a fundraiser to support organizations dedicated to saving and rehabilitating threatened species. Find inspiration through nonprofits such as the World Wildlife Fund, the National Geographic Society, and other organizations dedicated to saving animals. Ready to set the crowdfunding engine in motion? Crowdfunding and social media allow us to communicate with people all over the world and collect donations on a scale never seen before. GoFundMe hopes children use this power to spread compassion and relieve suffering. By encouraging your kids to create an altruistic fundraiser, you’re equipping them with the skills to pass on your values well into the future. Use these fundraising ideas to get started raising money for everything from community initiatives to school programs. If you haven’t already launched your fundraiser, create your fundraiser today. Most of today’s teenagers have had some form of access to the internet for their entire lives. The tech skills that older generations had to go out and actively seek are as intuitive to many of today’s youth as brushing their teeth. Teens are highly skilled social media users, and many spend the majority of their days connected via smartphone. A 2015 Pew Research Center study found that “92% of teens report going online daily—including 24% who say they go online ‘almost constantly.’” What’s more, 76% use social media, with that number jumping to 81% for older teens. When it comes to crowdfunding, today’s tech- and social media-savvy youth are uniquely equipped to spread information quickly online. Their social media connections allow them to reach hundreds—sometimes thousands—of friends, relatives, and acquaintances at once. Many are both expert tech users and passionate about social causes and contributing to make a difference, making them ideal candidates for charitable crowdfunding. Most of all, online fundraising with GoFundMe is an incomparable learning experience. Teens gain valuable interpersonal skills by leading an online fundraising fundraiser and enlisting the help of their peers. Crowdfunding requires them to craft a compelling story and sell it to potential donors–an ability that becomes crucial later in life. The experience of asking for help to support a cause fosters humility and a sense of compassion toward those in need. Summer programs are a great opportunity for teens to hone their skills and pursue new interests. Possibilities include programs for students who want to explore interests more deeply, get ahead in school, or pursue academic, artistic, technical, or scientific passions. Another option is raising funds for an education-focused charity or cause the student feels strongly about. Few things are as educational as travel—and crowdfunding can help pay for it. Teens might wish to learn a new language, experience a new culture, or gain an appreciation for a different way of life. Often, students can volunteer abroad in new locations as a way to fully immerse themselves in the culture while forging meaningful connections and relationships. If you attended camp, you understand how significant the experience can be in a young person’s life. It provides a rare opportunity to unplug, spend time outdoors, and meet peers from outside a teen’s immediate community. Camp can be especially meaningful to teens who struggle with shyness or feel socially isolated at school, and friendships often come easier in the playful, low-pressure atmosphere. 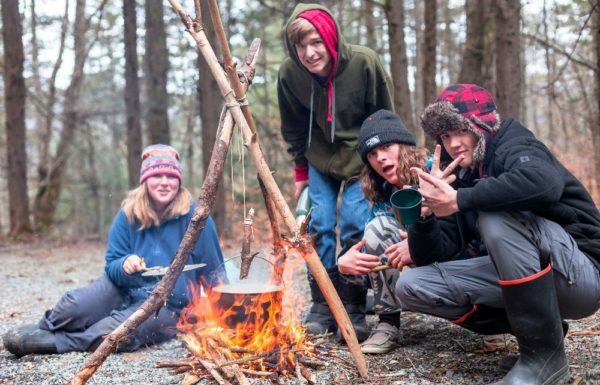 GoFundMe is a great resource for families who wouldn’t normally be able to afford camp, or fundraisers who want to give the opportunity to low-income teens. Check out our fundraising ideas for summer camp. The cost of education continues to rise, with no sign of slowing. High school students focused on paying for college can turn to crowdfunding to help cover tuition and other school costs, including books, travel, and room and board. Crowdfunding helps connect students with people who care about their academic future and want to see them succeed. Countless nonprofits and worthy organizations are currently struggling with funding or need support. Starting a crowdfunding fundraiser for a special cause is an empowering experience that can build a young person’s confidence and create a tangible, positive impact in the community. To find a worthy cause or investigate the effectiveness of a charity you have in mind, check out Charity Navigator and our blog post 11 Weird Charities You Didn’t Know Existed. Raise money to fund a trip to a museum, theater, or gallery; pay for an academic or artistic competition; or fund travel to a sports championship or other tournament. Field trips can inspire students to pursue their passions and, in many cases, inform their future careers. Meanwhile, theater, music, or debate competitions, Model UN, journalism conferences, and sports tournaments empower kids and teenagers to prepare to meet a goal and give their all. Through crowdfunding, teens can quickly and easily rally parents and other members of their community to help pay for these life-altering experiences. Let your children or teens create and run fundraisers, but review any content they want to publish like text, images, and videos. Have regular check-in sessions to make sure everything’s running smoothly and determine areas in need of improvement. If a number of kids or teens are involved, help them work together. Praise the accomplishments of the group as a whole. For younger children, an adult should chaperone if the fundraising fundraiser incorporates any offline activities or events. Note: To create a GoFundMe account, you must be at least 13 years old and have your parent or guardian’s permission. At GoFundMe, our free online fundraising platform makes it easy for young people to drum up support for personal projects or raise funds for friends, family, and causes they care about. If you haven’t already, consider starting your free fundraiser today—and incorporate any of the fundraising ideas we shared above. Look to our website for more tips and ideas, or ways to come up with great strategies of your own. With a little adult guidance and encouragement, young people can have a huge impact on their communities and beyond.